Quiet, great location for cycling and access to town centre. Friendly staff at all times, clean rooms, walking distance to the city. 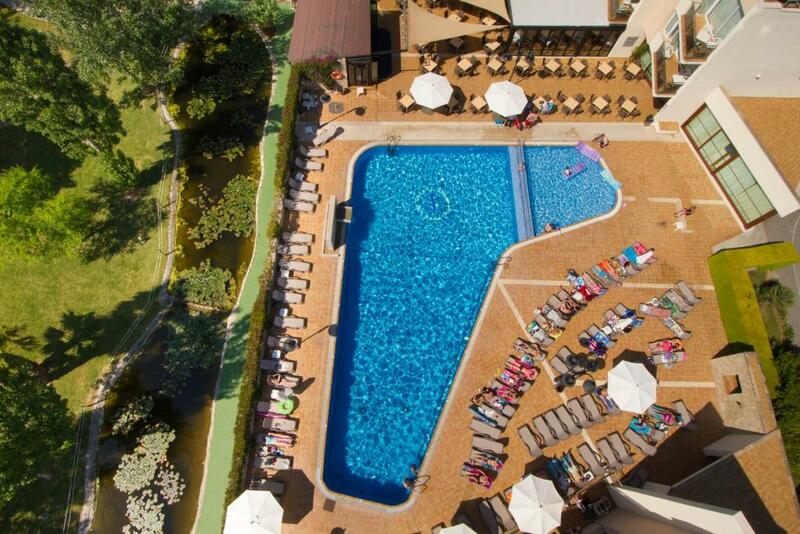 The gym, leisure facilities and pools were all very clean and well equipped. The apartment itself was bright and modern and perfectly adequate for a week. Didn't get a chance to use any of the facilities at the complex but they looked nice and a great option to have. The apartment was clean and the beds comfortable. There was plenty of storage space in the bedroom. We asked for an apartment in a quiet area and were given one away from the main complex. Great for active holidays, locked cages for bikes, nice gym + spa + wellness area. Very friendly staff, room cleaning every day. Kitchenette well equipped for simple cooking. Friendly staff good breakfast buffet with sufficient healthy options. Bike storage was easily accessible. Food was really nice. Lock in a great price for Aparthotel Duva & Spa – rated 8.2 by recent guests! Aparthotel Duva & Spa This rating is a reflection of how the property compares to the industry standard when it comes to price, facilities and services available. It's based on a self-evaluation by the property. Use this rating to help choose your stay! 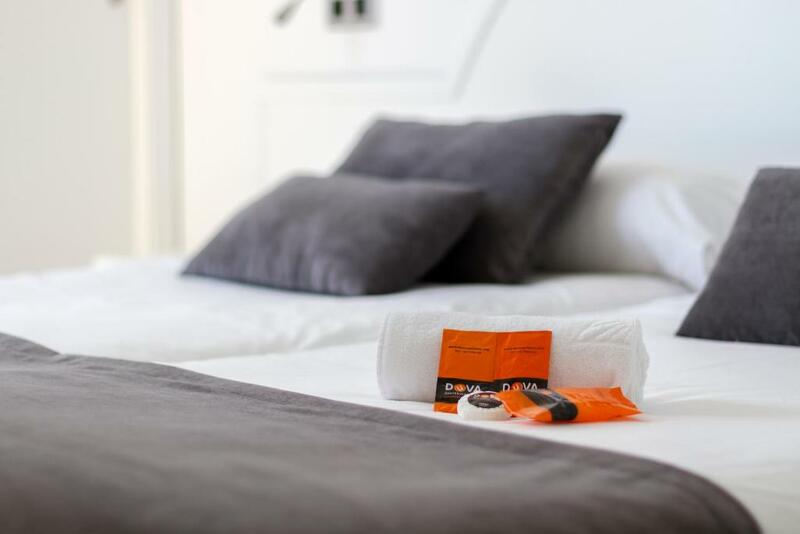 One of our top picks in Port de Pollensa.Aparthotel Duva & Spa is located in the valley of the Tramontana mountains, in the north of the island of Majorca, just 2,800 feet away from the port of Pollensa beach. This is the ideal place for the perfect rest in natural and beautiful surroundings. Explore the attractive gardens of the Duva & Spa's peaceful setting. Make good use of all the different areas and services. Soak up the sun on the large terraces. Refresh yourself with a swim in one of the pools, and then grab a drink at the bars or a bite to eat at the excellent restaurants. Spoil yourself with a trip to the wellness center and spa, and keep in shape at the fitness center or with a game of tennis or paddle on the complex courts. If you are a cycling lover, Aparthotel Duva & Spa is well equipped to store bicycles, it has a garage, repair shop and an area to clean the bikes. Top all of this off with the varied entertainment program on offer at the hotel. When would you like to stay at Aparthotel Duva & Spa? Air-conditioned apartment with satellite TV, a safe and a furnished terrace with views of the pool, garden or mountains. There is a well-equipped kitchenette with a microwave, toaster and kettle, as well as utensils and a fridge-freezer. The private bathroom comes with a hairdryer and toiletries. A safe is available for an extra charge. El Aparthotel Duva & Spa se encuentra ubicado al pie de la Sierra de Tramuntana, y a unos 850 metros de la playa del Port de Pollença, éste es el entorno ideal para disfrutar de un tiempo de auténtico descanso, y de un saludable contacto con la naturaleza que nos rodea. Los jardines, las terrazas, piscinas, bares y restaurantes, conjuntamente con las instalaciones de salud y belleza de nuestro SPA, el gimnasio y las pistas de pádel o tenis, completan el programa profesional de ocio y entretenimiento. House Rules Aparthotel Duva & Spa takes special requests – add in the next step! Aparthotel Duva &amp; Spa accepts these cards and reserves the right to temporarily hold an amount prior to arrival. Aparthotel Duva & Spa accepts these cards and reserves the right to temporarily hold an amount prior to arrival. The accommodations offer shuttle service to and from the beach. Timetables change according to the season. The noise of cycling groups in corridor at night. Lack of atmosphere. Spa not 4 star. The reserving of tables at breakfast. The sofa beds were extremely uncomfortable as they were rock hard. My only other gripe was the poor water pressure in the bathroom shower. We ended up using the gym showers instead. Would be nice to see a small bottle of washing up liquid supplied for the kitchen instead of the shampoos and shower gels no one uses. Wifi was really only available in reception and there was no 4G coverage at the back of the complex. We had stayed at the Duva twice before (more than 10 years ago and 6 years ago) and booked here again as we had experienced good value for money and we were looking forward to a 3 night stay at the end of our Dry Stone Way walk. However, this time we were disappointed as, whilst other places we stayed on our walk seemed to have 'upped their game' the Duva was much like it was 10 years ago. Although the apartment was clean everything was getting worn out (the bathroom had cracked tiles, the kitchen equipment was worn, the table badly chipped and the microwave had little inside paint left). We had to ask for something to make coffee in and were given a stove top coffee maker which was fine. We had one evening buffet which was not impressive. There was a very limited choice and the atmosphere was cramped and chaotic - a great contrast to other places we stayed where our half board worked out to be much cheaper than here. The general demeanour of the staff was pleasant but uninterested apart from the night receptionist when we checked out early in the morning - he was friendly and helpful. This will be our last stay at the Duva. No air conditioning working in room 1101 - was the same with two other rooms my friends stayed in. As a result the room was very hot. a little bit worn equipment of the room and furniture (dents in the table desktop, rusty piping in the bathroom, peeling paint on the bathroom ceiling. But, considering the price, everything was acceptable.